Nicole Kidman has long been one of our favorite actresses. The Australian star first caught the attention of American audiences in the ’80s, with roles in films like DEAD CALM and FAR AND AWAY. Those quickly established her as a top-notch leading lady. Thanks to her versatile talents and a knack for choosing interesting roles Kidman has been at the top of her game ever since. From crowd-pleasers like MOULIN ROUGE! And PRACTICAL MAGIC to more challenging films like EYES WIDE SHUT, TO DIE FOR, and RABBIT HOLE, Kidman’s acting history is filled with excellent, highly memorable performances. Her entire career is stunning. And yet 2018 just might be Nicole Kidman’s most perfect year, thanks to these three fantastic performances. 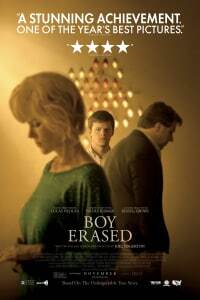 In BOY ERASED, currently in theaters, Kidman plays Nancy Eamons, wife to car salesman and Baptist preacher Marshall (Russell Crowe). She’s also mother to Jared (Lucas Hedges), a young man struggling with his sexuality in conservative Arkansas. After he’s forcibly outed by a cruel schoolmate, Jared is sent to a gay conversion therapy program. His parents hope he’ll be cured of his homosexuality. Kidman absolutely shines as Nancy, a southern hairdresser so desperate to do what’s right for her son that she’s blinded to the reality of the choice she and her husband have made. It’s a compassionate movie that has empathy for everyone involved. Kidman’s Nancy is given unique attention, as she undergoes the most emotional transformation in the film. 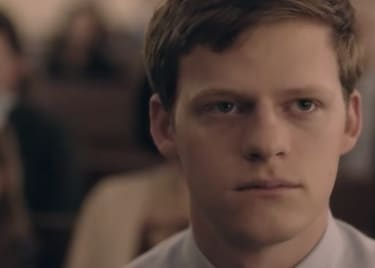 Based on Garrard Conley’s 2016 memoir of the same name, BOY ERASED is a deeply moving drama. Kidman’s performance ensures there won’t be a dry eye in the house. Kidman’s turn in DESTROYER (from THE INVITATION director Karyn Kusama) will be the most talked about of her three movie performances this year. The crime thriller may very well lead to her second Oscar win (and fifth nomination). Kidman stars as LAPD detective Erin Bell, who is haunted by the tragic outcome of an undercover assignment early in her career. When a figure from that failed job returns, Erin is forced to relive her traumatic past. Kidman is almost unrecognizable in the film. She plays Erin with all the grit of a classic Clint Eastwood or Charles Bronson character. Before she ever speaks a single line in the film, Kidman tells us so much about Erin in the way she walks and carries herself. 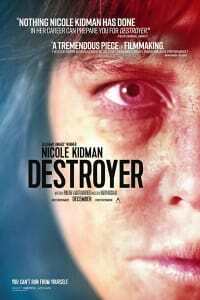 DESTROYER is reminiscent of classic crime films like HEAT and POINT BREAK, but with a female lead. Kidman is the right woman for the job, and her transformation is breathtaking. Kidman gives the DC universe extra cred in AQUAMAN. Jason Momoa stars as the rebellious aquatic superhero who learns he’s the heir to the underwater kingdom of Atlantis. 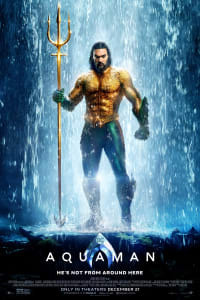 The film, from James Wan (THE CONJURING), also introduces Aquaman’s parents, played by Kidman and Temuera Morrison (STAR WARS). Kidman stars as Atlanna, the Queen of Atlantis and mother of Aquaman and his evil brother Orm (Patrick Wilson). Obviously, Atlanna is not your typical mom. AQUAMAN gives Kidman a chance to show off her physical skills in exciting, action-packed fight scenes. It’s no coincidence that AQUAMAN hits theaters around Christmas time: Getting to watch Kidman fight bad guys with a trident is truly a gift. AQUAMAN opens on December 21; DESTROYER opens on December 25.